HomeBangkokTaste the Favor of Thai Food, Bang Rak District Walk. Asiatique, the Centre of Souvenir !! Taste the Favor of Thai Food, Bang Rak District Walk. Asiatique, the Centre of Souvenir !! Taste various of Thai dishes in cheap prices. Take a walk along the street of Charoenkrung. Visit attractions at Bang Rak. Shopping for clothes and souvenir at Asiatique. Take you to the Grand Postal Office and Assumption Cathedral. Walk around in Bang Rak District. Take you to taste various Thai dishes at many restaurants around Bang Rak. You can decide since there are so many restaurants ! 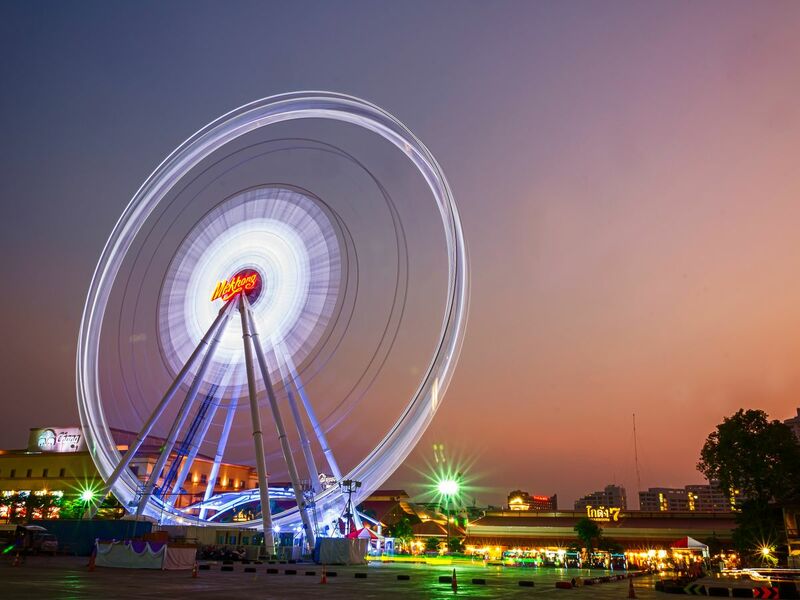 Take you to Asiatique the riverfront, see the city lights and view of Chao Phraya river. You will find all kind of souvenir here. Take you back to BTS Station (Saphan Taksin) Farewell. Pocket money for food and for shopping. At Bang Rak you will find cheap tasty Thai dishes all around the area. This is a relaxing trip just like a hang out. Eat, Walk and Shop!! Willing to bargain the prices for you, make sure that you will get the cheapest prices possible when you shop.